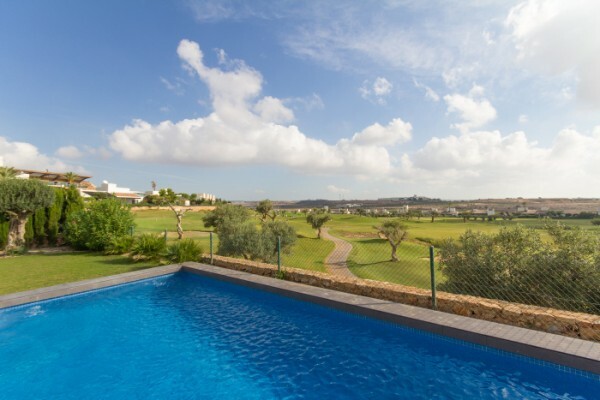 A beautiful large detached 3 bedroom villa with fantastic panoramic views of the Seve Ballesteros Golf Course - ALMOST HALF ORIGINAL PRICE !! 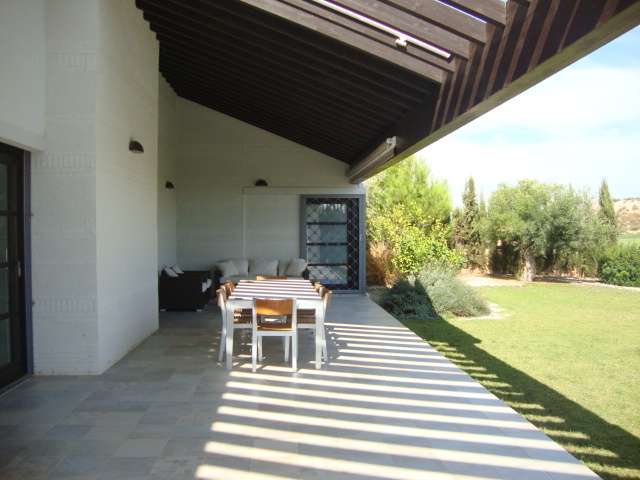 The villa has open plan lounge/dining with sliding doors leading onto the large patio area. 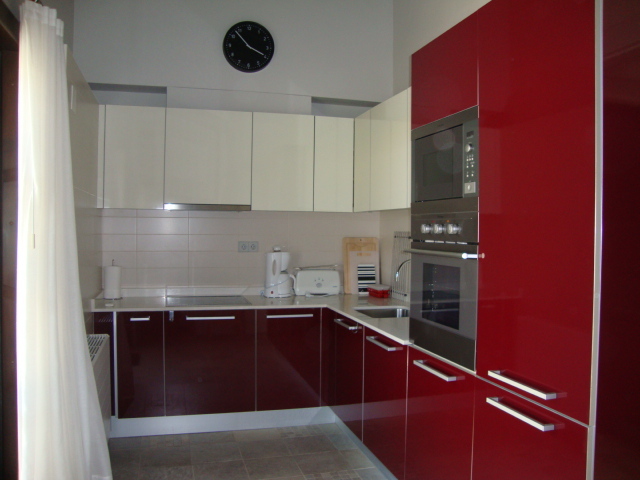 The modern, separate kitchen is fully fitted with integrated appliances. 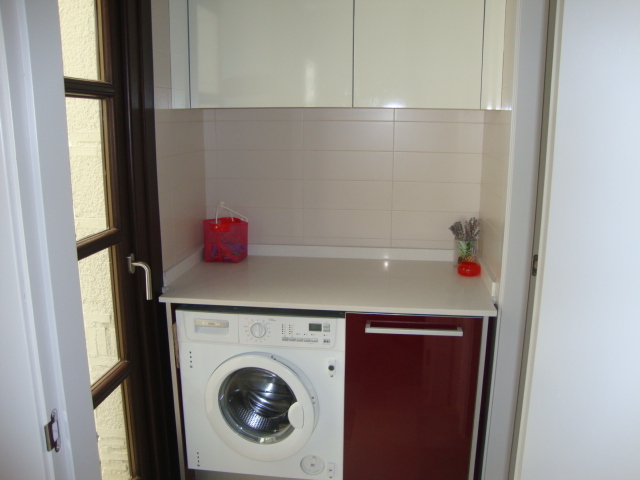 One bedroom is on the ground floor and two upstairs. 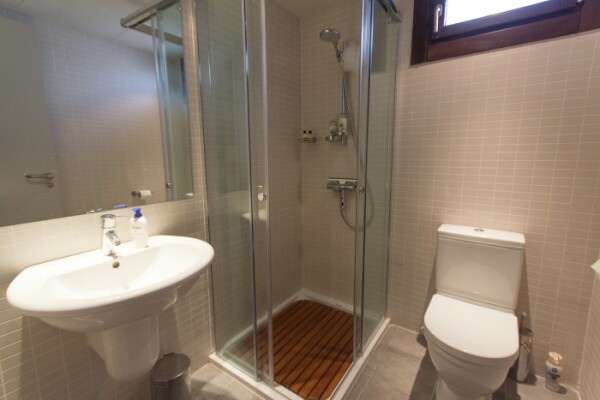 There is full central heating, a wood burner in the lounge and air conditioning throughout. 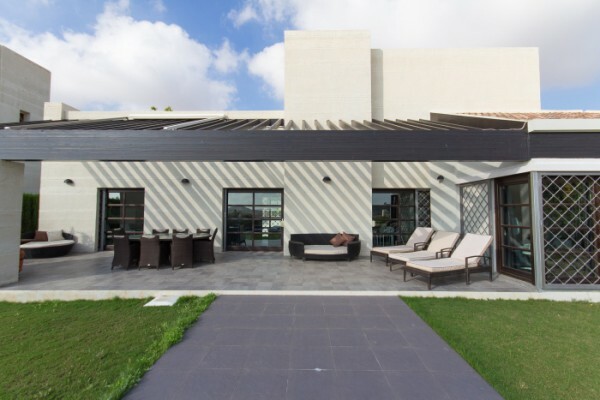 The villa has a large swimming pool and private gardens front and back with electric gates to a paved driveway. 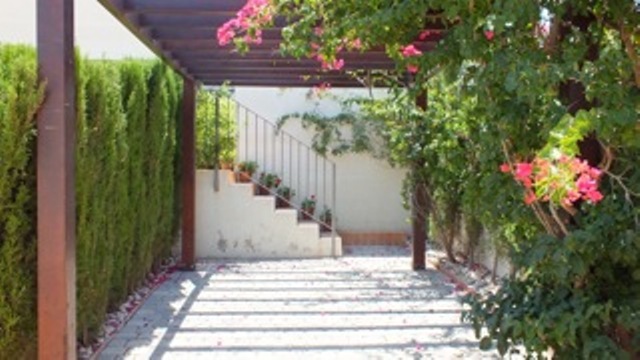 The villa by car is 20 minutes from San Javier airport and just over an hour from Alicante airport. 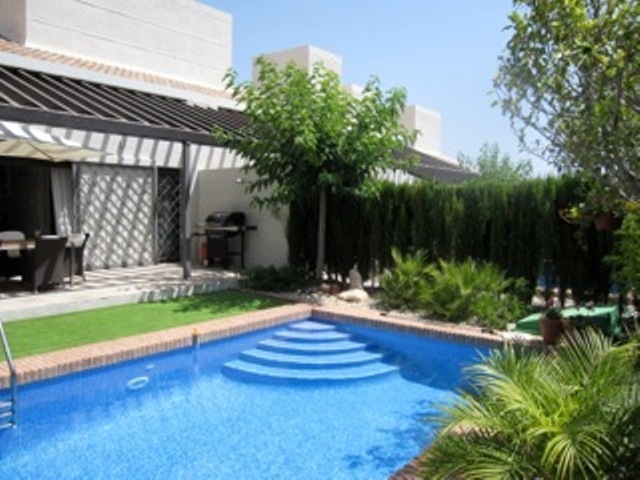 The closest town of Sucina is 5 minutes away with San Javier and the beaches of the Mar Menor 20 minutes. The nearest city is Murcia City which is only a half hour drive away. 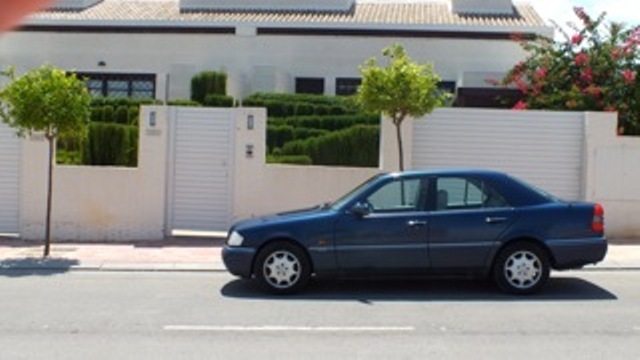 At the front of the villa there is a car port with an electronically operated gate. 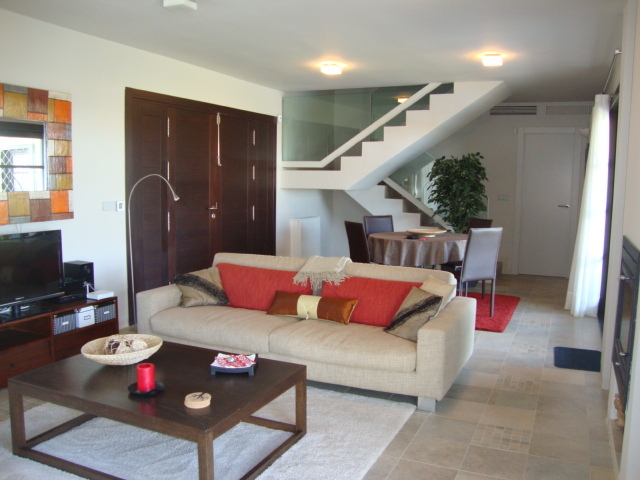 This villa has received excellent revenue from rentals. 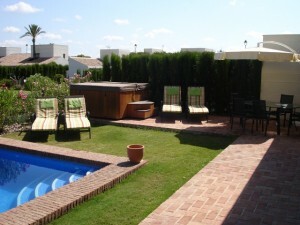 The villa by car is 20 minutes from San Javier airport and just over an hour from Alicante airport. 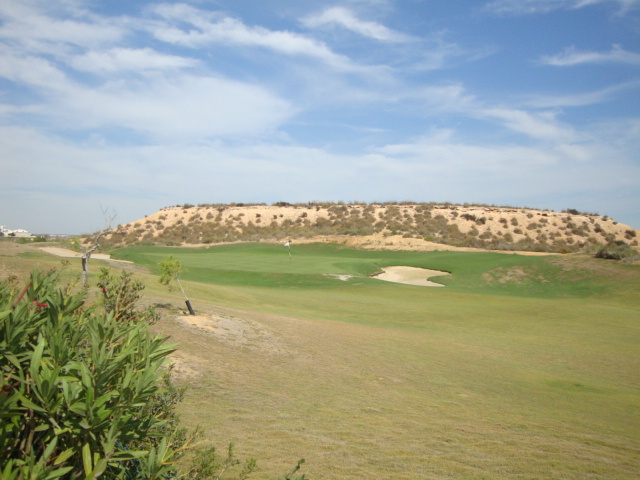 The closest town of Sucina is 5 minutes away with San Javier and the beaches of the Mar Menor 20 minutes. The nearest city is Murcia City which is only a half hour drive away. 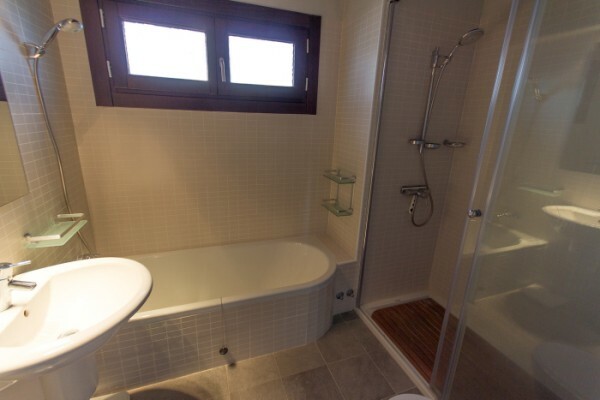 A luxury villa for sale in Murcia at a very affordable price. This fantastic villa is located second line from the golf course with a beautiful communal garden at the rear of the property. 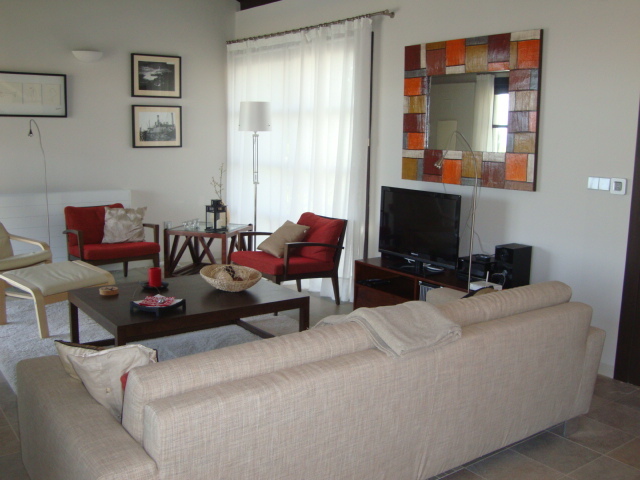 This is a luxurious contemporary designed 2 bedroom villa with high wooden ceilings which is furnished to a very high standard. It has a large open plan lounge/dining room which has a wood burner, ideal for the winter months, gas central heating and concertina doors leading directly onto the terrace which overlooks the private swimming pool and garden area. 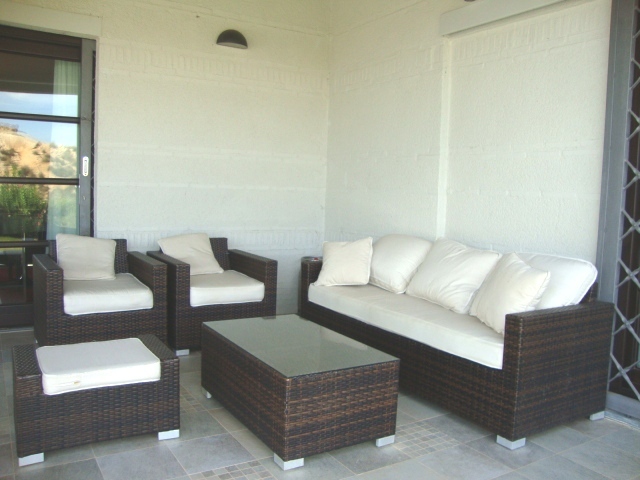 The outside terrace has dining furniture, chairs and sun loungers. 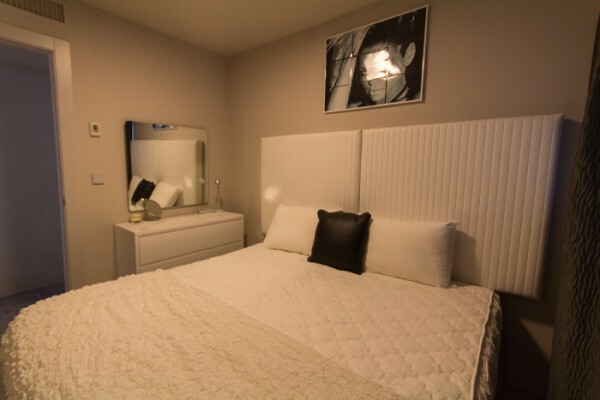 The master bedroom has a double bed and is en-suite. 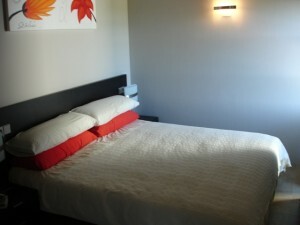 The second bedroom has 2 single beds and a separate guests shower room. 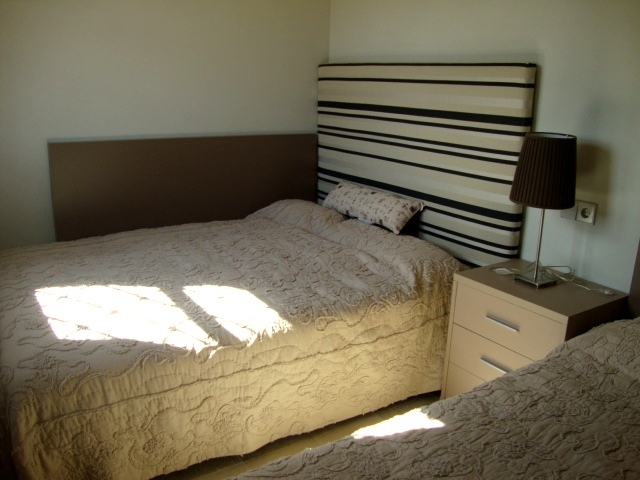 Both bedrooms have large build in wardrobes. 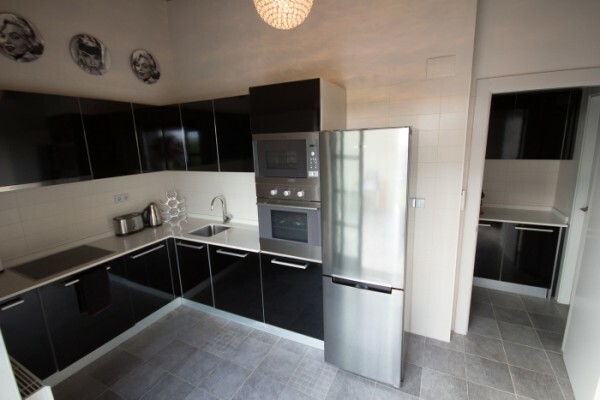 The superb kitchen is both large and contains very good quality appliances and fixtures including microwave, dishwasher, washing machine and a top quality granite worktop finish. 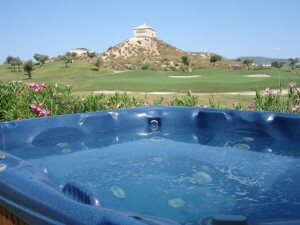 Luxury Villas for Sale Peraleja Golf Resort Murcia Spain. 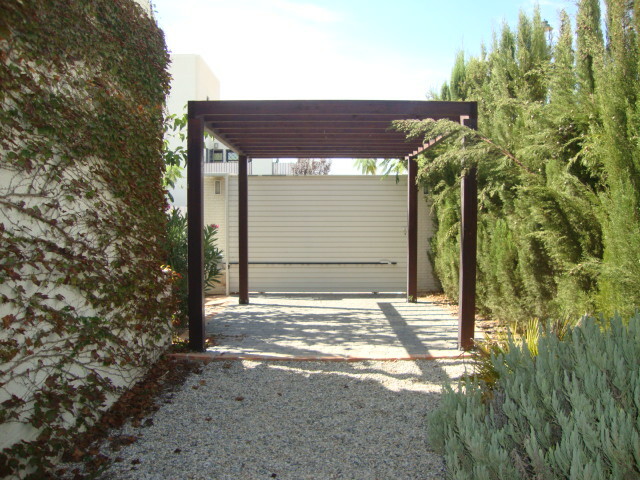 At the front of the villa there is a car port with an electronically operated gate. 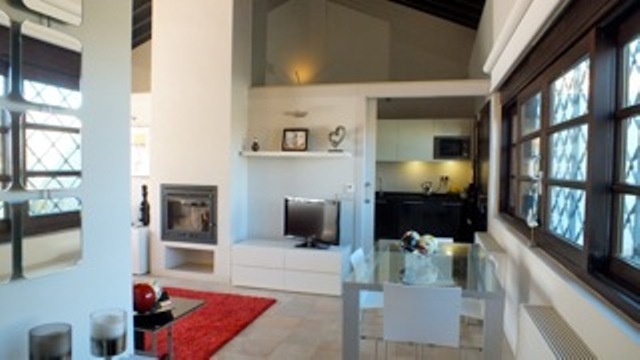 This villa has received excellent revenue from rentals. 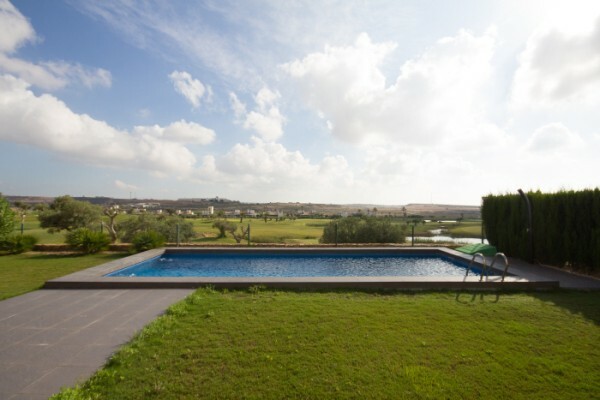 A beautiful large detached UNFURNISHED 3 bedroom villa with fantastic panoramic views of the Seve Ballesteros Golf Course. 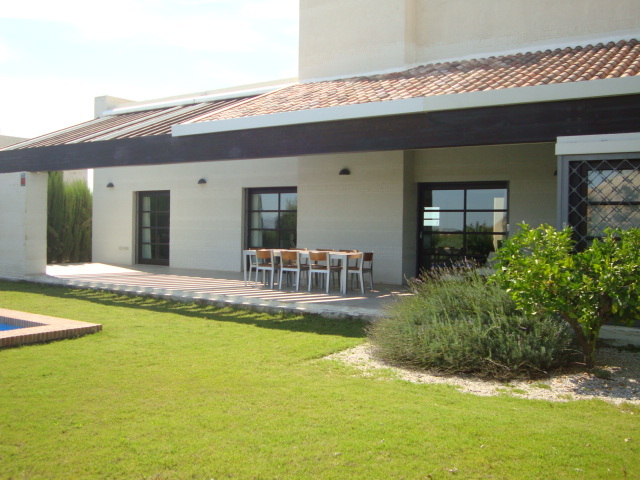 There is an equestrian centre on the resort which houses a traditional Spanish restaurant. 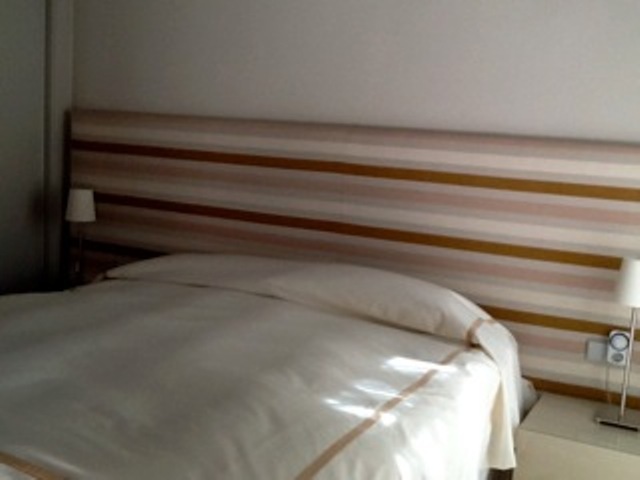 Plot size 625 sqm, living space 138 sqm. 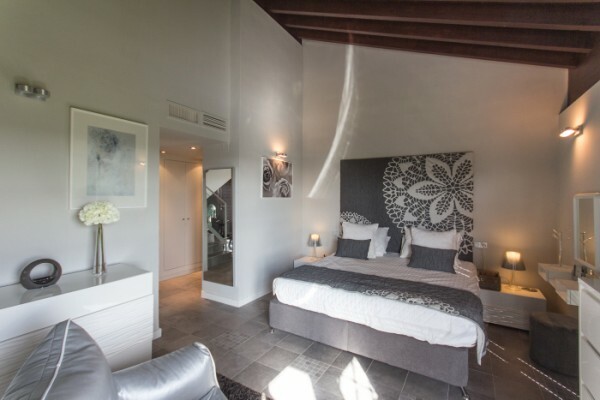 The villa by car is 20 minutes from San Javier airport and just over an hour from Alicante airport. 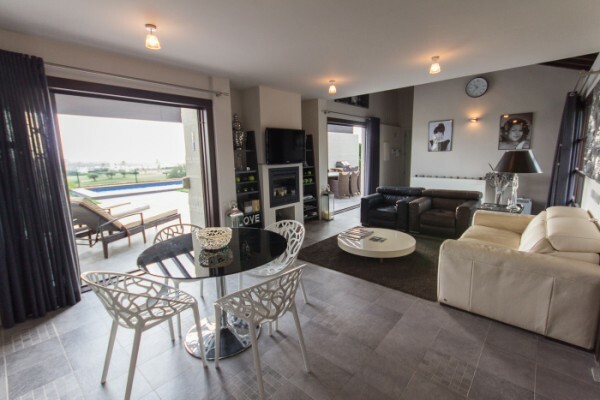 The closest town of Sucina is 5 minutes away with San Javier and the beaches of the Mar Menor 20 minutes. The nearest city is Murcia City which is only a half hour drive away. 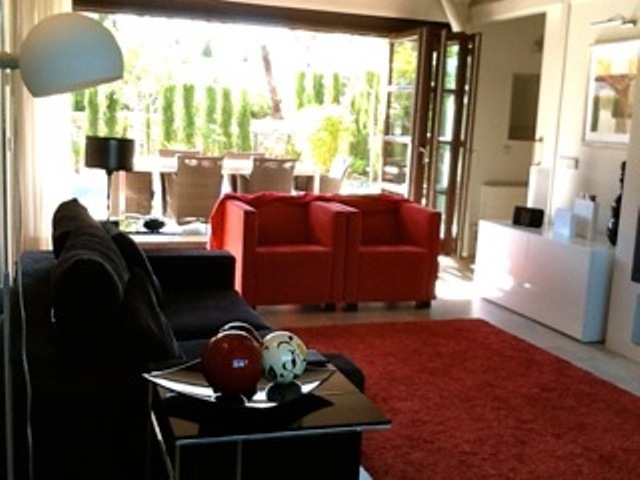 Buy a Luxury Golf Resort Villa in Murcia Spain. 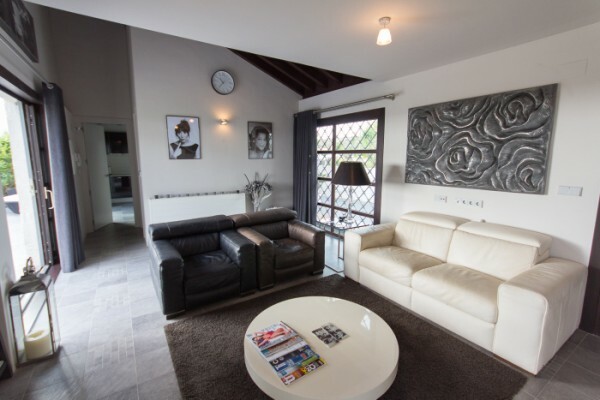 This stunning 4 bedroom south east facing villa is furnished to a very high standard and has wonderful views of the golf course and the surrounding mountains. 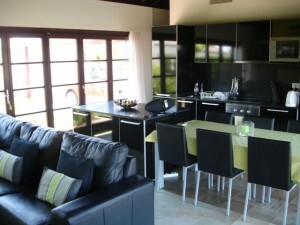 As well as a lovely private pool it also benefits from a 6 seater hot tub in the garden for relaxing in. 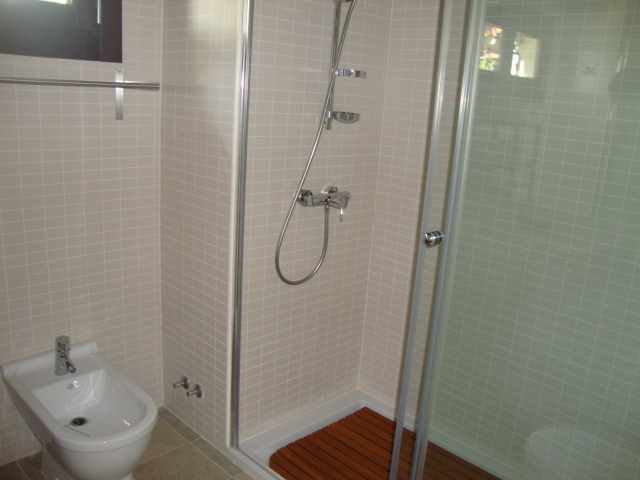 The property is entirely enclosed and has an electronic entry system for access to the off road parking area. 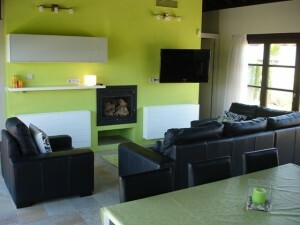 Being all on one level, the villa is suitable for the elderly or anyone with mobility problems. Inside there is hot and cold air conditioning, gas central heating and even a log burner for those cooler winter evenings. 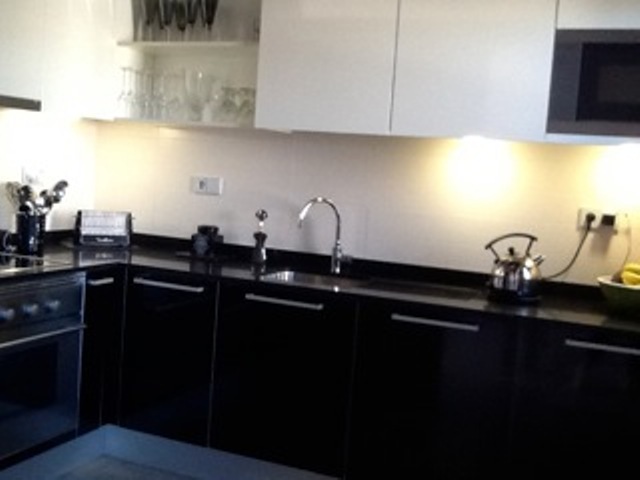 The kitchen is very modern and contains all mod cons including a dishwasher. If you would like further information on any of the above luxury properties, please see the telephone numbers below or use the Contact Us button to send us an email.